Crowdfunding has the potential of being faster than the grant process. But it has its own challenges. Baysave is also learning about crowdfunding; we’ve had some success and some learning experiences that were not immediately successful. In the long run, I suspect that both methods must be used in tandem for smooth operation in today’s environment. Executive Order No. 23 signed by Governor Phillip D. Murphy on April 20, 2018 recognized that, historically, New Jersey’s low-income communities have been disproportionately affected by environmental degradation that often leads to other serious problems beyond environmental issues, including housing challenges. The New Jersey Department of Community Affairs utilizes a Municipal Revitalization Index (MRI) scoring system referred to in the Plan. Our local municipality Downe Township has a 2017 MRI Distress Score of 43.7, ranking it as #63 of the 565 municipalities (11th percentile most at risk) ranked by highest to lowest overall risk. Downe Township ranks as the #36 lowest per capita income municipality in the state (6th percentile lowest income). The data shows that our community falls within the category of those facing a disproportionately high burden of the issues related to environmental justice. Specifically, we recognize that our higher exposure to risks combined with our local lack of financial resources to deal with these risks exacerbates and compounds the problem. Anecdotally, I frequently speak with NJDEP officials in informal settings who acknowledge this disproportionate burden and the need to address it, yet I am not aware of any actual progress by the Department in doing so. A) The NJDEP’s actions have not considered environmental justice impact. Most recently, for example, the Department’s use of NJ Attorney General Grewal’s Office to prosecute those who are recovering from Sandy and financially unable to rebuild quickly caused a number of small businesses to close or move out of the state. The state admits, for example, that Baysave’s contributors have made significant contributions to the recovery, sustainability and compliance efforts of this community yet seems to have o qualms in suing the company and its volunteers. When and if Commissioner McCabe visits Money Island again, I would welcome the opportunity for a casual discussion. I understand that she came and went this fall without speaking with any of us on site. I have met individually with many other higher level NJDEP officers here. Elected officials ranging from Senator Booker, former representative LoBiondo, former state Senator VanDrew, current state Senator Andrzejczak, Assemblyman Land, several former Assemblymen, our County Freeholders and our Mayor have all been involved in advising, planning and implementation of our community’s sustainable future. We are grateful that all of these leaders have taken the time to visit and advise us on the steps to help secure the future of our community. Yet I feel that top-down leadership from within NJDEP is still lacking on the specific Environmental Justice issues that we discuss. Deal with us directly rather than through the Attorney General’s office. Suing modest income residents like me and taking away valuable time and financial resources in the legal system simply because we can’t get permits issued fast enough to satisfy the state is despicable behavior in itself. The wasted time and money takes away valuable resources that would otherwise go toward our community’s compliance and redevelopment. But more importantly, it is counterproductive to achieving our common goals. It is the very opposite of Environmental Justice! We all want full compliance and a sustainable community as soon as possible. But the Department’s willingness to sue us with its virtually unlimited budget for lawyers and prosecution – scared away all of the interested and willing sources of redevelopment funding in our community. In short, the state’s shortsighted plan of taking legal action rather than work with us shot the state in the foot. I urge the Department to settle its legal actions against us and resume problem-solving through normal process of community planning meetings, application reviews and candid discussion. I would welcome the opportunity to discuss or provide more information on any of these points. Thank you for the opportunity to allow me to submit these comments. Last month the New Jersey Department of Environmental Protection (NJDEP) announced a series of meetings it calls “listening sessions” to its recently published “Environmental Justice Draft Plan”. The purpose is to talk public comments and respond to those comments in a thoughtful organized process with the end results published in official state records. Some local government officials who regularly battle with NJDEP call these “feel good bullshitting sessions”. They may be right. Even so, I think that participation in the process is important. The tension between NJDEP and its rural southwest communities cannot be overstated; the NJDEP is viewed by many as a step below the Jersey Devil for the Department’s history of corruption, bribery and slighting of rural communities. The local meeting planned last week in Bridgeton was cancelled due to threatening weather. No rescheduled date has been announced. There is an alternate way to submit public comments. Written comments may be submitted through email until Friday, March 22 to eo23@dep.nj.gov. I recommend that anyone with interest in NJ environmental issues may want to read the plan and take advantage of this opportunity to offer feedback. I expect that my strongly worded feedback will be published separately here on this blog in the next several postings. BaySave is a 501(c)(3) nonprofit association formed in 2010 and based at Money Island, Cumberland County, New Jersey. Past projects include living shoreline stabilization, oyster shell recycling, marina repair and management, crowdfunding, educational programming, and community seafood events. Baysave was cited by the NJ Department of Environmental Protection for exemplary dune grass replanting projects. Baysave is registered as a New Jersey charity with a mission of advocacy, stabilization, restoration, and sustainable economic redevelopment of the Delaware Bay and communities along its shoreline. Baysave operates in Delaware, New Jersey, and Pennsylvania with some programs reaching Maryland, New York City, and Virginia. Our unique value is in making measurable progress toward common goals by bringing together recreational users, environmentalists, commercial watermen, elected officials, and community leaders. This allows us to combine the resources of diverse stakeholders in government, industry, nonprofit, and education. In 2018 Baysave received funding from the NJ Community Capital THRIVE Grant for the redevelopment of the local recreational crabbing industry to provide infrastructure, marketing innovation, and an organizational framework to operate as a cooperative with greater autonomy and opportunities. Those efforts continue into 2019. Our 2019 priorities are: 1) influencing New Jersey legislation and regulations associated with sustainability, fisheries and aquaculture management, 2) transitioning local commercial and recreational marinas into compliance with existing state regulations, and 3) expanding funding sources to meet the remaining unmet requirements for existing partially-funded projects. Baysave is proud to be a member of the Millville Chamber of Commerce and the Vineland Chamber of Commerce. We are grateful to have received assistance from the Marine Trades Association of New Jersey, the NJ League of Municipalities, and the NJ Society of Certified Public Accountants. We have also been offered a site license for long term projects to a coalition of environmental groups led by The Nature Conservancy. BaySave is a 501(c)(3) nonprofit association formed in 2010 and based at Money Island, Cumberland County, New Jersey. Baysave is registered as a New Jersey charity with a mission of advocacy, stabilization, restoration and sustainable economic redevelopment on the Delaware Bay and communities along its shoreline. Baysave operates in Delaware, New Jersey and Pennsylvania with some programs occasionally connecting to Maryland, New York City and Virginia. Our unique value is in the ability to combine the resources of diverse stakeholders in government, industry, nonprofit and education in making specific progress toward common goals by bringing together recreational users, environmentalists, commercial watermen, elected officials and community leaders. Past projects include living shoreline stabilization, oyster shell recycling, marina repair and management, crowdfunding, educational programming and community seafood events. Baysave was cited by the NJ Department of Environmental Protection for exemplary dune grass replanting projects. In 2018 Baysave received funding from the NJ Community Capital TRIVE Grant for the redevelopment of the local recreational crabbing industry to provide infrastructure, marketing innovation and an organizational framework to operate as a cooperative with greater autonomy and opportunities. Those efforts continue into 2019. 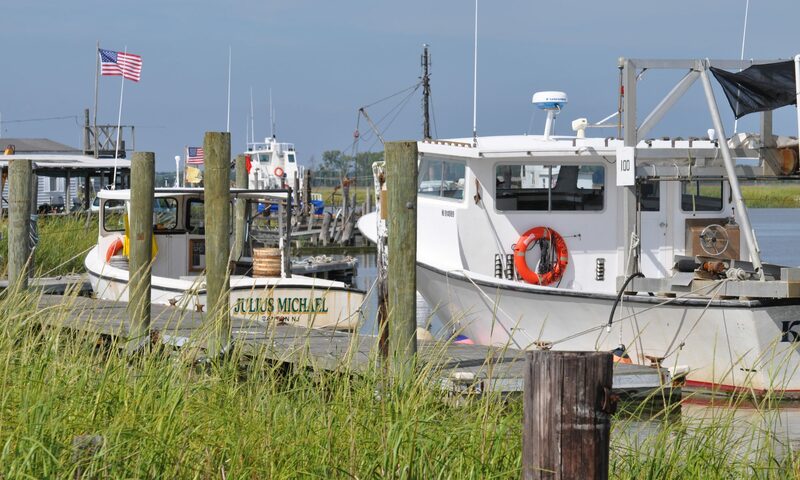 Our 2019 priorities are: 1) influencing New Jersey legislation and regulations associated with sustainability, fisheries and aquaculture management, 2) transitioning local commercial and recreational marinas to comply with existing state regulations, and 3) expanding funding sources to meet the remaining unmet requirements for existing partially-funded projects. Baysave is pleased to be a member of the Millville Chamber of Commerce and the Vineland Chamber of Commerce. We are pleased to have received assistance from the Marine Trades Association of New Jersey, the NJ League of Municipalities and the NJ Society of Certified Public Accountants and offers a site license for long term projects to a coalition of environmental groups led by The Nature Conservancy. The website is www.Baysave.org. Contact controller Tony Novak at 856-447-3576 or tnovak@baysave.org for more information. Baysave was named as a defendant along with its controller Tony Novak in a lawsuit filed May 4, 2018 by New Jersey Attorney General Gurbir Grewal. The lawsuit focuses on properties acquired for stabilization and sustainable aquaculture redevelopment after Superstorm Sandy under a proposed gift/sale to the state. The State does not allege that Baysave, Novak or our associates did anything wrong, but rather that we are the current titleholders of the distressed properties after the state decided that it did not want the properties. The stabilization, recovery, transfer, sustainability planning and compliance phases are taking much longer than expected and the issues are proving more complex than anyone had hoped. The underlying issue is that the entire Money Island Marina campus, and in fact most of the small rural port community of Money Island, was built more than a half century ago without building permits, water well or septic system permits, land surveys, tideland leases, etc. What little documentation that may have existed based or is referenced in other documents now appears to be missing from the local government and county offices. The fishery is healthy. Crabs have the biological capacity rebound quickly after our worst environmental challenges. Blue crabs are the only commercial species in New Jersey expected to benefit from the long-term effects of climate change. We have a great local crab research resource from Rider University. Bottleneck: Of the 312 commercial crab licenses issued in New Jersey, far less than half are utilized. The state restricts transfer of idle licenses except within a family. Senator Van Drew believed this would change years ago but this remains the #1 artificial restraint on the industry. Without licenses, growth in the industry is stalled. What we are asking: Increased pressure by the legislature on NJDEP to implement the license transfer policy previously approved to allow for use of idle commercial crab licenses. The Nantuxent Creek at Money Island is identified as the #1 preferred choice for a productive type of oyster aquaculture called “FLUPSY” (floating upweller system) that acts as a nursery. This technology has the potential to grow the industry by more than tenfold, as it has in the Chesapeake Bay. Several oyster companies are considering expansion of aquaculture at Money Island New Jersey. The NJDEP blocked initial efforts to obtain infrastructure permitting in 2017 and now Attorney General obtained a court order to shut down half of the docks. Approval of dredging plans for the Nantuxent Creek was recently announced. Bottleneck: In 2017 NJDEP discouraged a major seafood company from submitting a permit application, saying that such redevelopment permit would not be issued based on lack of permits at other nearby sites. What we are asking: State government to redevelop on a site-by-site basis one step at a time rather than a whole community basis. Money Island is called the ‘unpolished gem’ of New Jersey’s Delaware Bay shoreline. It is the smallest and most remote shore point in rural Downe Township. Money Island Marina was the region’s most diverse, inclusive, affordable and accommodating public facility managed by Baysave with public donations and modest member dues. This location offered the only floating docks open to public fishing, is a preferred spot for bird watching and kayaking, picnicking, etc. Money Island is the preferred location equidistant between C&D canal and Cape May for a DOT transient boat dock program primarily funded through the federal government. All five local New Jersey universities in this region and even two universities from Pennsylvania conduct marine and environmental research here. Bottleneck: A lack of funding for permitting applications has caused a delay. The Attorney General recently obtained a court order to close the facility to the community to public use until permitting is applied for. What we are asking: A commitment by government to allow more time for funding of dock permit applications and to support Baysave in forming a public/private partnership for multi-use facilities at Money Island.